The sheer amount of non-league grounds that have disappeared in the last three decades is staggering. Here I pause to remember just a handful of them. Rossendale United were formed in 1898 after the demise of the areas two previously dominant sides Rawtenstall and Myrtle Grove, the latter having made an audacious attempt at Football League membership as Rossendale FC in 1894. The newly formed club took over at the Dark Lane ground that had previously been used for Rugby Union. The magnificent main stand was opened in August 1928 but by the late 1970’s it was decidedly worse for wear. 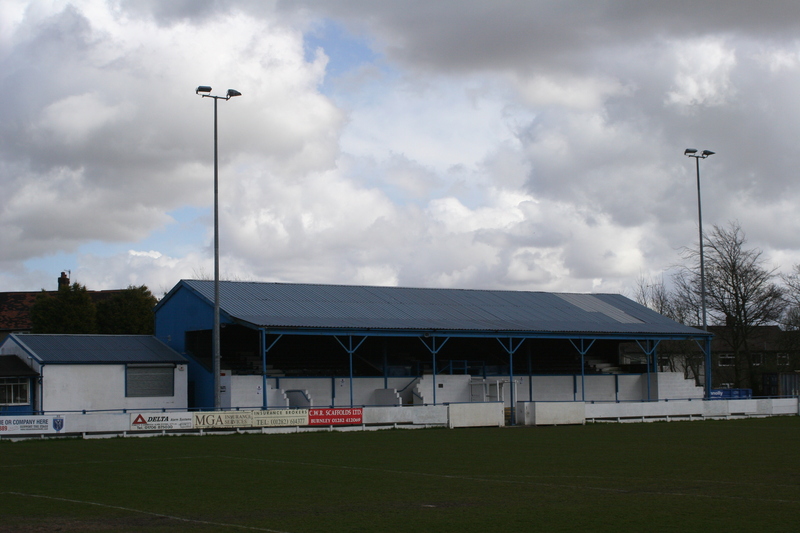 However, extensive renovation and a smart blue and white paint job had seen the old stand returned to its former glory. The Dark Lane ground was first lit up with floodlights in 1959 although the present set date from 1972. The new set of pylons were funded by the clubs tremendous run in the 1971 FA Cup when they were finally defeated by Bolton Wanderers in the Second Round in front of a 12,000 crowd in a match staged at Bury’s Gigg Lane ground. An important event happened in 1982 when the club secured a long term future when a 99 year lease was agreed with the grounds owners. 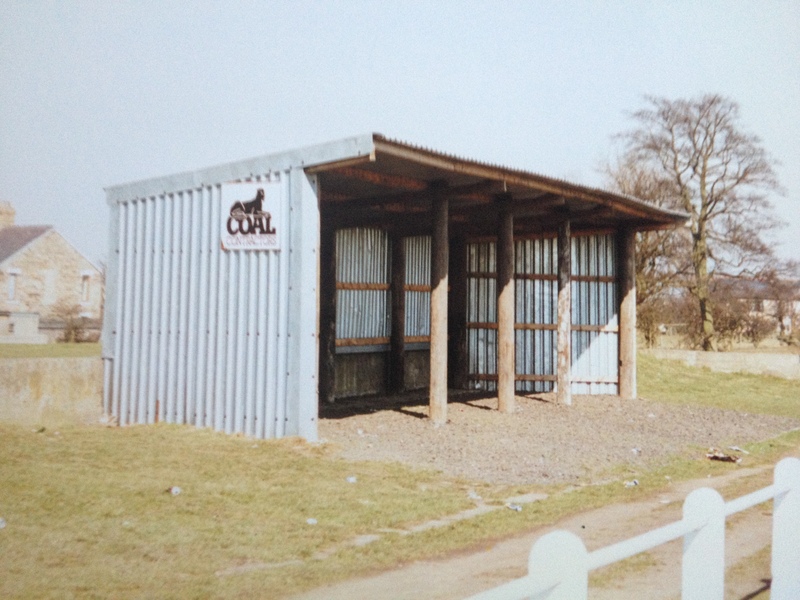 The clubs promotion to the Northern Premier League in 1989 saw further ground improvements. The club hit hard times and were relegated back to the North West Counties League and towards the end of the 2010/11 season the board resigned en masse and the owner of the ground had decided to foreclose having failed to find a buyer for the site. 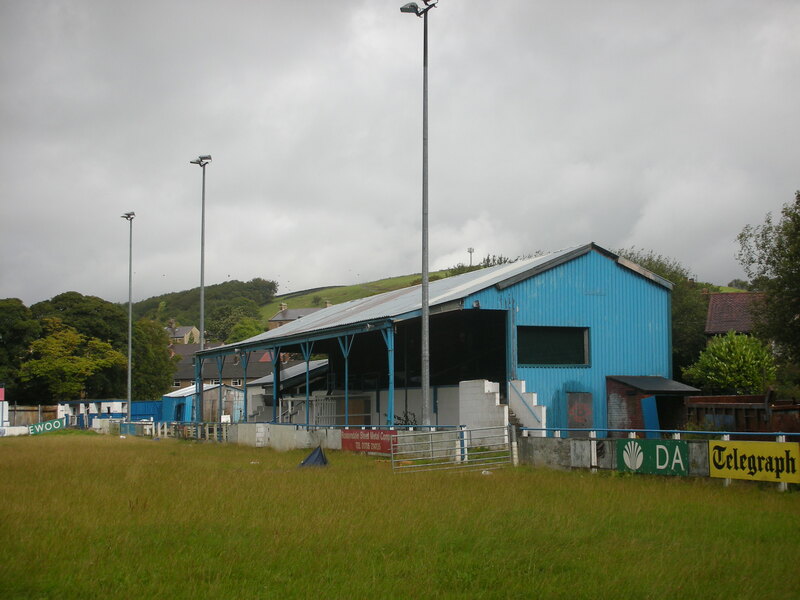 In June 2011 a new committee had decided to form a new club, Rossendale FC, and apply to rejoin senior football using the Dark Lane ground. However, this venture was abruptly ended when a calamitous fire engulfed an already badly vandalised ground. 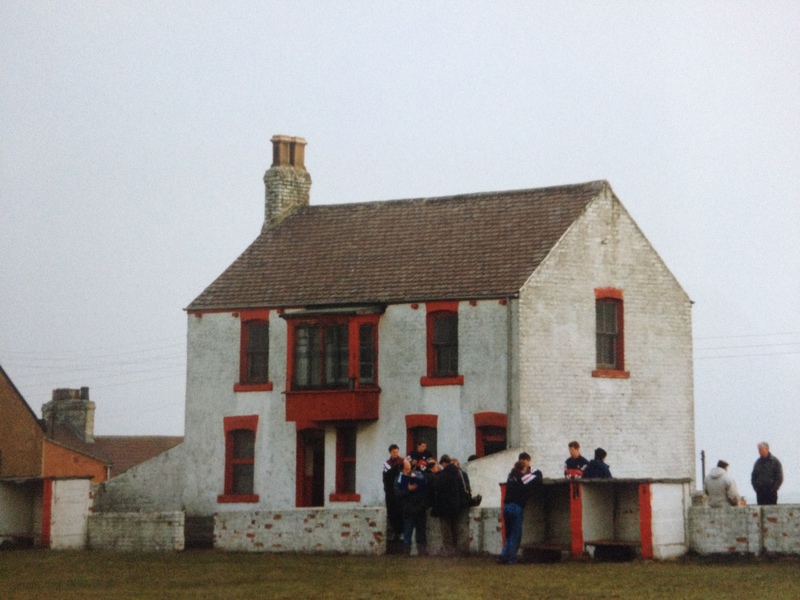 The home of Stanley United has been nicknamed the Hill Top ground, which is something of an understatement as a drive to the ground involved a climb through the Stockley Fells to the small mining village of Stanley that sits high above the Durham town of Crook. The two sides were bitter rivals in the 1930’s and, indeed, Stanley lost their Northern League place to Crook in 1936. However, the club were re-elected to that prestigious competition in 1945. They remained in the Northern League until the end of the 1973/74 season when they resigned due to a lack of volunteers to run the club. They dropped down to the Durham City and District League before moving to the Wearside League. The High Road ground had been home since the end of World War I and was a remarkably atmospheric ground. On the far side was a large covered stand which provided very welcome refuge from biting winds. The grounds most well-known feature of the ground was on the opposite side where, within the ground itself, was an old two up, two down house. This provided changing facilities and upstairs were the tea bar which had amazingly wonky floorboards. The club last competed in the Wearside League in the 2002/03 season and after a few seasons in local football called it a day, citing a lack of support. The stand and house were swiftly demolished and all that remains of this much loved venue is a few twisted pitch railings. A renowned village club who made their own little piece of history when, in 1928, they reached the final of the FA Amateur Cup. They had and excellent record in that competition throughout their glory days of the 1920’s, but without doubt reaching the final was a crowning achievement that made national headlines of a tiny Durham mining village. Sadly, as so often happens, the opposition in the final, Leyton did not follow the script and triumphed 3-2 in the final in front of 12,200 spectators at Ayresome Park. The club played in several local leagues before gaining election to the prestigious Northern League in 1921. The club remained in that League until the competition ceased in for World War II. The club later fell on hard times, especially when the colliery closed, and eventually disbanded for many years, until a revival came about in 1985. The Hazel Grove ground has been home throughout most of their history and when I visited the ground, even though I was alone for some time before players arrived, you could sense the history and atmosphere of this classic ground. The rough hewn timber stand and its more modern tin cover opposite provide much needed shelter from the elements. The ground positively ached for a large gathering, you could almost hear the ghosts of yesterday watching those great old Amateur Cup matches and earthy yells of ‘Play up Cockfield.’ After some good years in the Durham Alliance the club dropped down to the Crook & District League and the Hazel Grove ground was heading towards dereliction not helped by the attentions of local vandals. The club sadly folded in 2010 after an approach to the local parish council for funding for repairs to the dressing rooms was rejected. The newly formed Edgware F.C. acquired the use of the field behind the White Lion Public House in 1939 and after the war the grandstand was opened and steep banking created around the ground. The covered terrace was erected a few years later. By the late 1970’s the White Lion Ground had long since seen its better days and was crumbling badly. 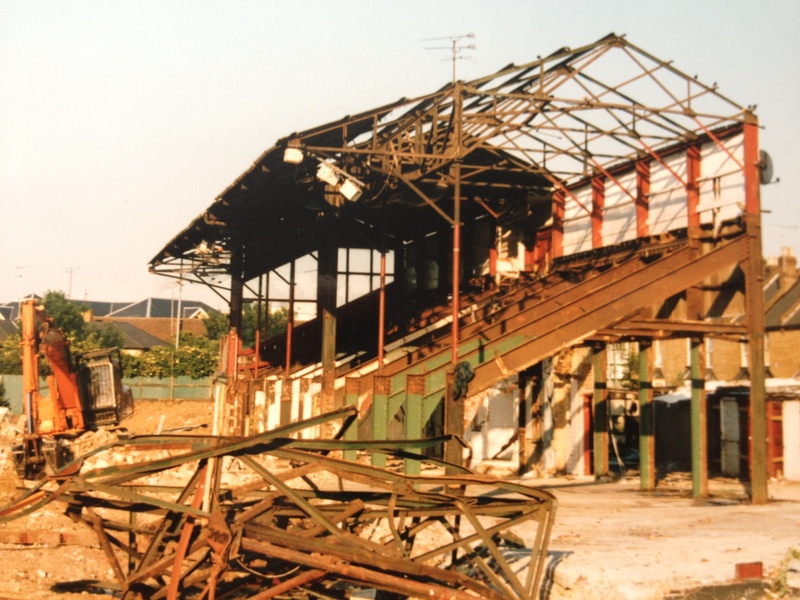 The lack of care eventually resulted in the old grandstand being totally destroyed by a fire in 1982. The club benefited from the insurance payout which provided a new stand of almost identical size . 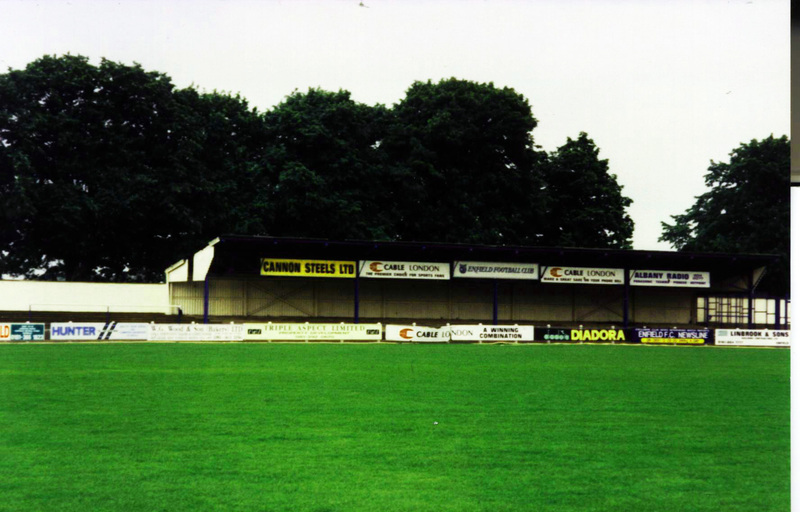 A groundshare with long time rivals Wealdstone, which had started in 1995, had seen the ground gentrified further. Edgware had been relegated from the Isthmian League at the end of the 2004/05 season but had won the Spartan South Midlands League treble in their first season in that competition. Returning to the Isthmian League the future looked bright until Wealdstone’s owner acquired a majority shareholding in Ruislip Manor F.C. and announced his intention to redevelop that club’s Grosvenor Vale ground. By the end of the 2007/08 season Edgware simply ran out of funds and folded. The ground still remains, the main stand is a pile of rubble and the turnstile blocks are part demolished. The cover on the far side remains but has been overtaken by nature. 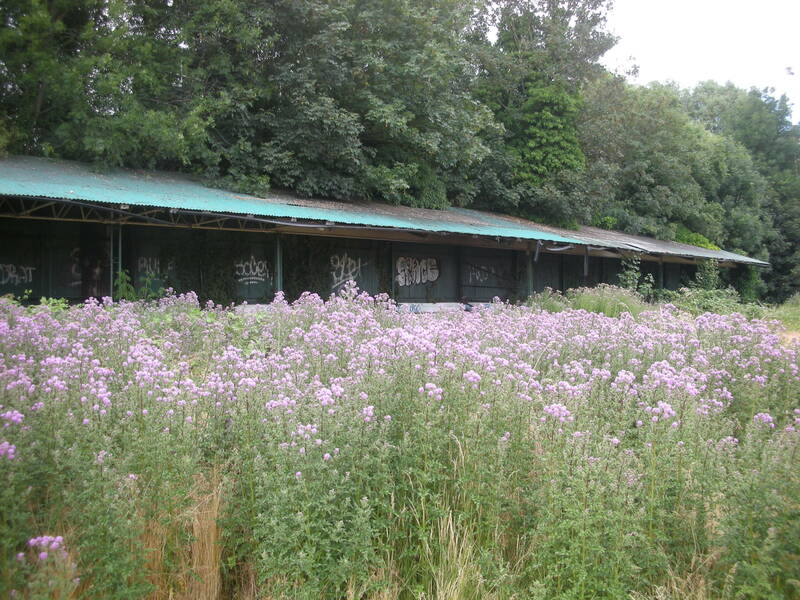 Much was been written about the demise of Enfield’s much loved Southbury Road ground. The problems really started when Saracens RUFC moved from Southgate to share at Enfield’s ground. The large covered terrace opposite the main stand was demolished and had temporary open seating erected. However, when Saracens swiftly departed for Watford, the side was tarmaced over with no terrace or cover. The asset stripping of the club continued unabaited in the late 1990’s and the ground was lost to developers in 1999 and bulldozed with indecent haste. Various relocation plans were mooted at the Tesco Country Club in Cheshunt or Brimsdown Rovers ground at Goldsdown Road. Empty promises then saw this once well supported club playing in crowds of under 100, miles away at Boreham Wood’s Meadow Park ground. Now known as Enfield 1893 they now play in the Essex Senior League using the Goldsdown Road ground. In 2001 some disgruntled and heartbroken officials and supporters formed their own club, Enfield Town, who have latterly returned to the Borough occupying the Queen Elizabeth II Stadium in Donkey Lane, replete with it’s listed status Art Deco cafeteria. When Tooting and Mitcham United left Sandy Lane for their new Imperial Fields ground in Bishopsford Road they abandoned the last large scale venue left in the London area. Sandy Lane was built in 1932 with all the austentation of that era. 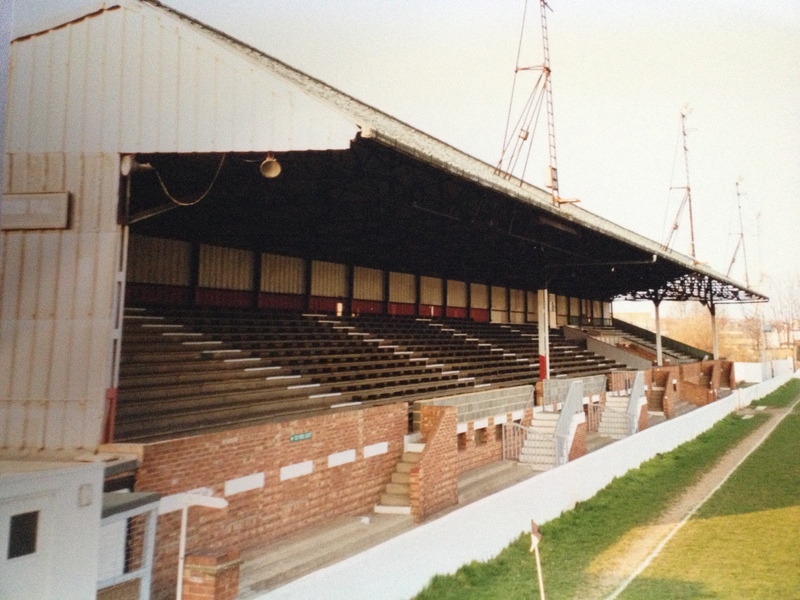 The huge grandstand, built in 1958, stretched along the majority of the near side of the ground and replaced the original gable roofed wooden stand, itself extended in 1932. The rest of the ground had large sections of terrace. The clubhouse was behind the stand and showed many fading photos of Tooting and Mitcham’s glory years when great cup runs and five figure crowds were not unusual at Sandy Lane. 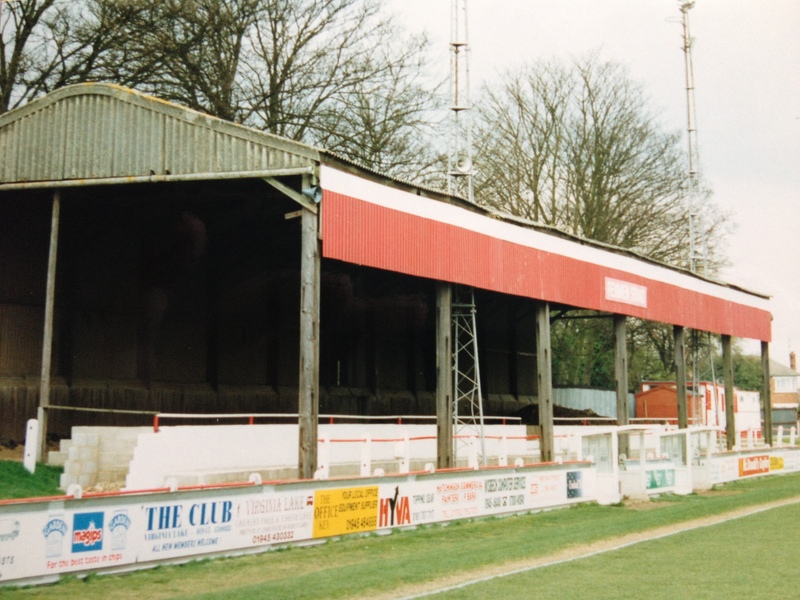 However, with the 2,000 capacity grandstand having wooden bench seating rather than the more politically correct plastic tip-up seats, Sandy Lane was becoming something of an albatross around the club’s neck. It was a terrible shame that this leviathan of a ground had no place in the modern game. 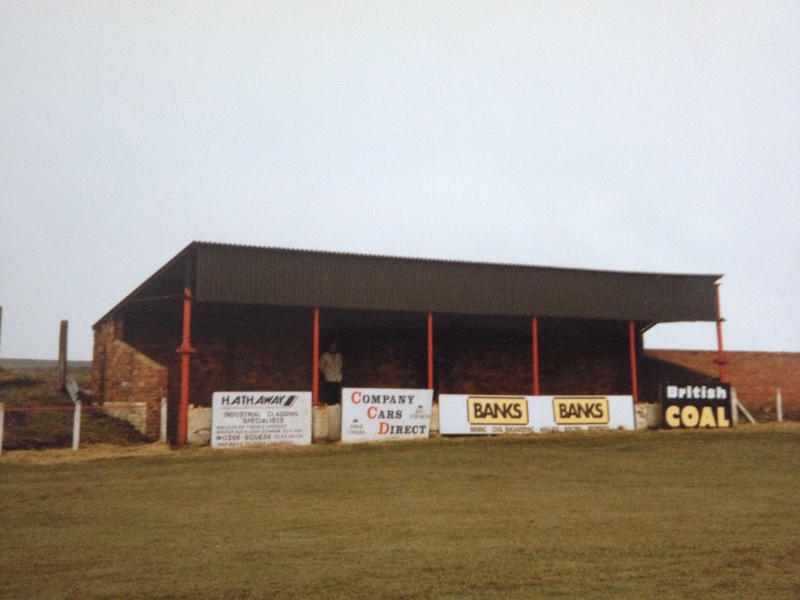 If you never visited Sandy Lane, you missed out on an integral part of British football history. Few grounds had sacrificed so much to appease a local authority planning committee as The Moorlands. 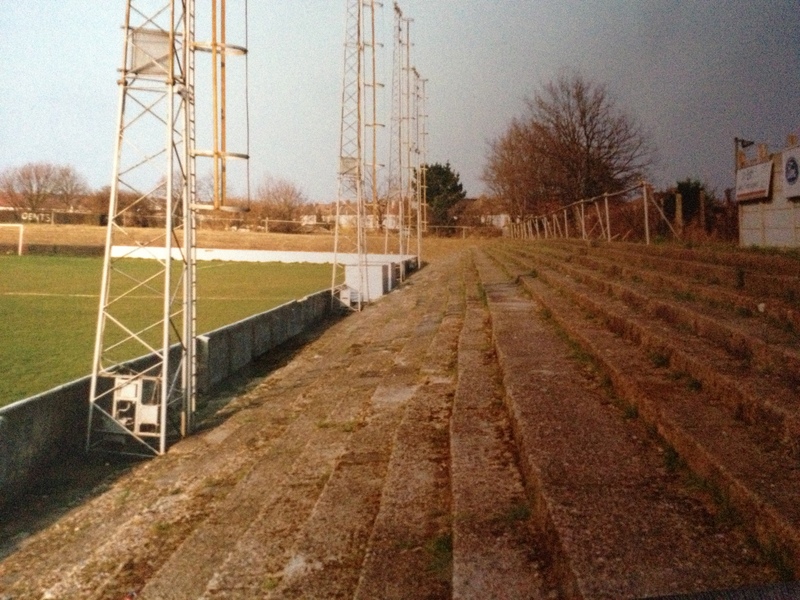 In order to obtain permission to erect floodlights at the ground in 1983, the club had to rotate the pitch through 90 degrees. This meant the classic 1930 wooden main stand and dressing rooms contained within, were left stranded behind one of the re-sited goals at the Delamere Road end. The two extensive open terraces that previously stood behind either goal were demolished. Also the second pitch which was rented to Highgate United was also lost. Even with all the work done, the council only granted permission for pylons that could be winched down and out of sight when not in use. Not only were these considerably more expensive than conventional pylons, but they require a good deal of manual labour to erect before every evening game. Both sides had flat hard standing, but the Petersfield Road end had a shallow terrace laid along the entire dead ball line. This end was eventually covered to give the ground a more enclosed feel. 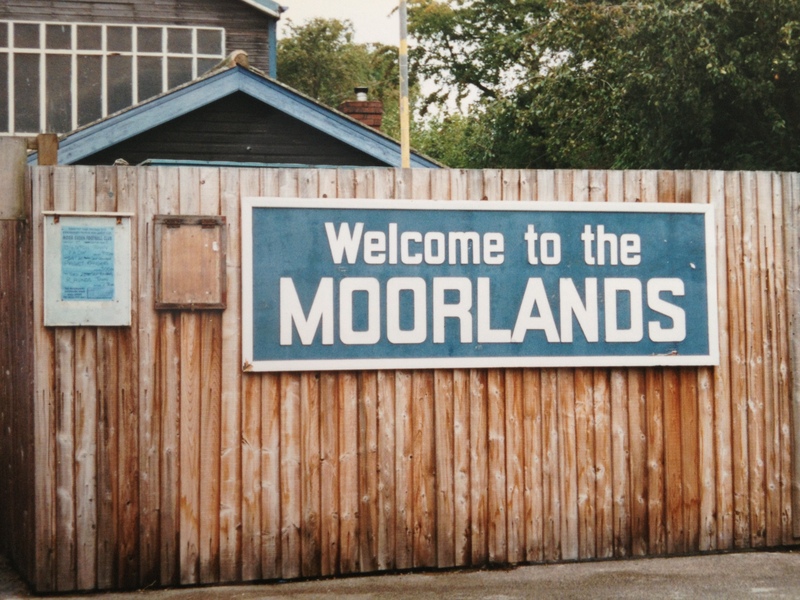 Tragedy struck in 2005 when The Moorlands was devastated by fire in a mindless arson attack. Unable to continue the club merged with Solihull Borough in 2007 forming the current Solihull Moors club. Call me morbid, but I felt I had to go New Writtle Street one more time when it was being demolished in July 1999. I photographed the wreckage, the main stand gutted, broken and twisted floodlight pylons lying like slain goliaths across the pitch. It was indeed a sorry sight. As I snapped away I realised I was not alone, an old man in his seventies was standing on the old uncovered terrace. We spoke at length, he had supported City since 1940, just two years after the professional club was formed, replacing the old amateur Chelmsford FC at New Writtle Street. The Stadium, as it was simply known, had been opened in 1925 and had been developed so well that the club applied for Football League membership on no less than 18 occasions. 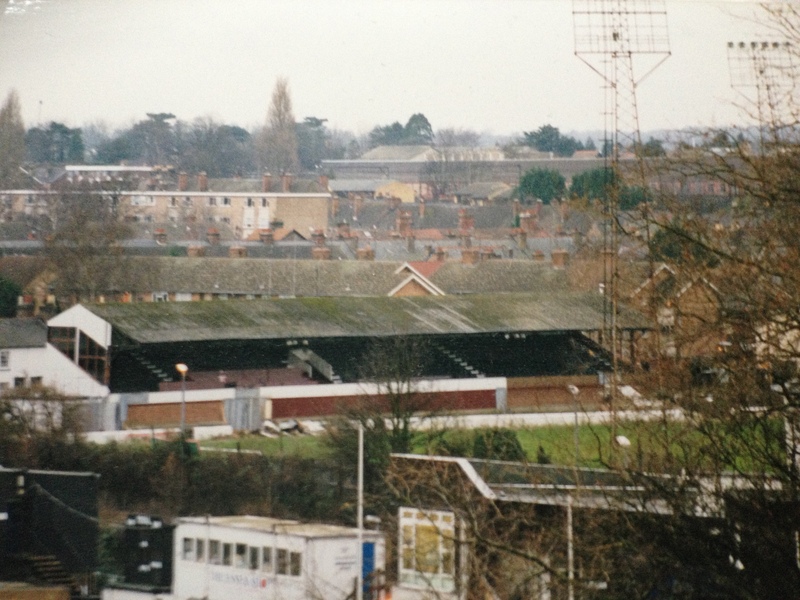 The old man reckoned the beginning of the end of New Writtle Street came in 1989 when the board took the unwise step of demolishing the pitch length covered terrace, known as The Barn, on the Central Park side of the ground. 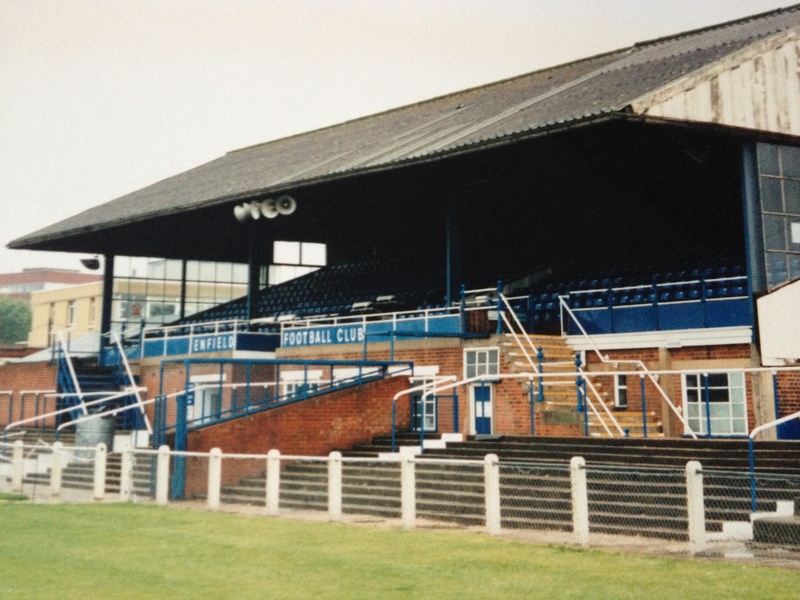 Its unusual barrelled roof, fairly common if not exactly indiginous to Essex (fine examples are to be found at Southend United and at one time at Southend Manor), marked this out as a classic stand. It was demolished in order for the pitch to be rotated through ninety degrees to allow total redevelopment of the ground to Conference standard. Unfortuately the council turned down City’s planning application, the first of many such run-ins. The ground saw some memorable matches, the noise that could be generated by a full Wolseley End at a big game was something else. By the summer of 1997 the receivers had to be called in and City were booted off the ground six days after the opening League fixture of the 1997/98 campaign. So hasty and unceremonious was the exit that officials had to return to claim equipment and fittings. The club spent the rest of the season at Maldon Town, although the groundshare was to end in acrimony on both sides. The huge site was eventually sold to Countryside Commercial for a meagre £900,000 and now hosts a housing development and the vast Esporta fitness centre. I wonder how much the site is worth now. The club’s meagre recompense dwindled by the week in rent to Billericay Town were dark days for the Clarets. The County Council turned down several planning applications before consenting to the club returning to the city at the Melbourne Athletics Stadium. As the old man and I parted, my wish had been for the councillors and property developers to see his face and the sorrow it showed. Interestingly in his autobiography former England international, Les Ferdinand, described Fenland Park as the most intimidating venue that he ever played at as a footballer. I can understand that sentiment, with its ample covered end terraces and its infamous dark, brooding cowshed, which was originally a farmyard barn. Packed full with hostile marauding Fenmen, I can imagine the young Ferdinand’s reticence. Although it was only opened in 1947, Fenland Park was one of those great venues which appeared to be far older than it actually was. 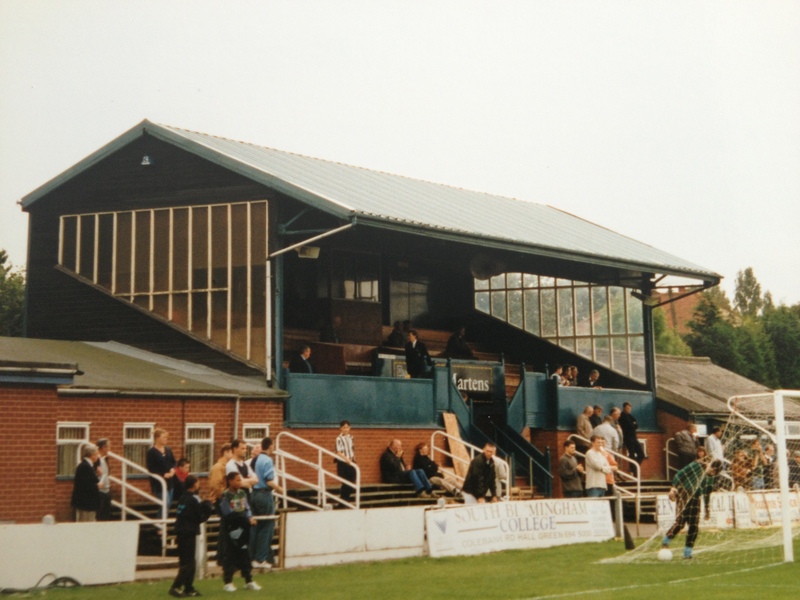 The ground’s original main stand was a timber affair that followed the club from their previous home at Harecroft Road. 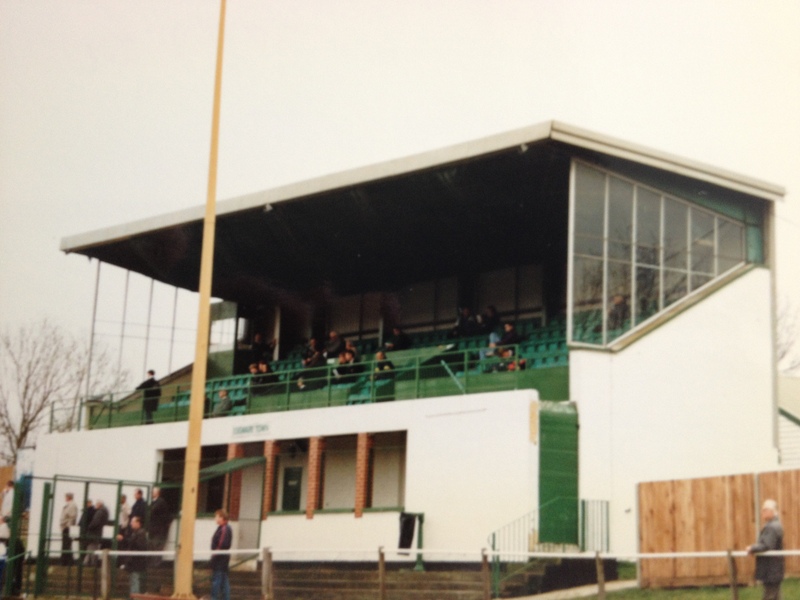 In the late 1980’s this stand was condemned, demolished and replaced by a brand new seated stand in late 1990. 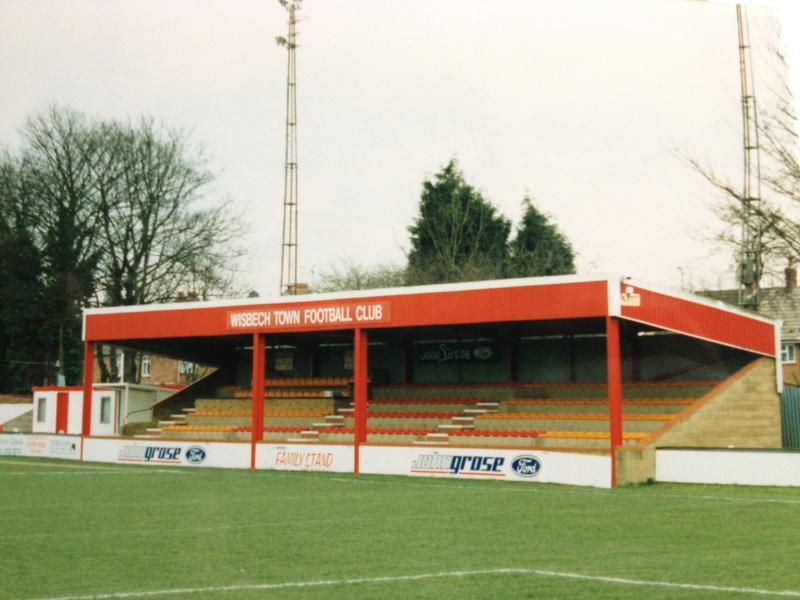 The club boasted such a fine ground with extensive cover that, unusually, no improvements were required when Wisbech gained promotion back to the Southern League in 1997. However, their return to a higher grade was somewhat brief, ending in relegation back to the Eastern Counties League at the end of the 2001/02 campaign. In early 2008 the club had decided to build a new ground and as a condition of sale moved out of Fenland Park in September of that year. 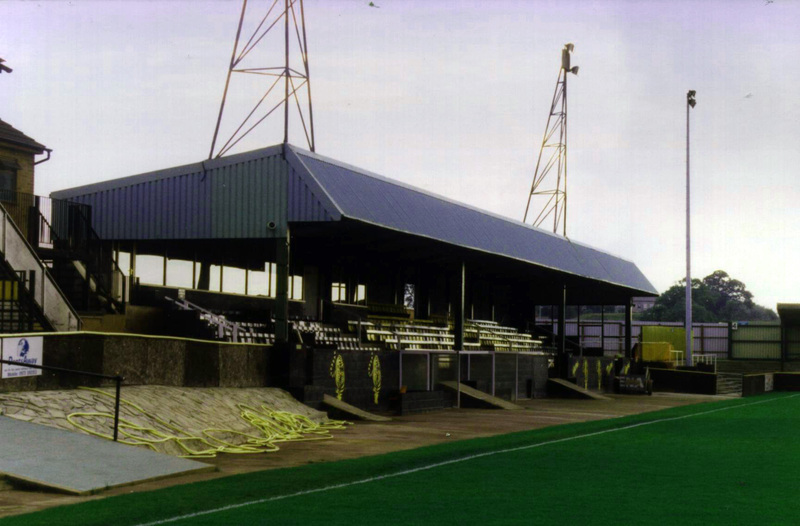 They began a two year hiatus at Outwell Swifts ground at The Nest which was augmented with stands and floodlights for the duration. By August 2010 the Fenman had taken occupancy of their new modern home at the Fenland Stadium. Gloucester City have led a nomadic existence since their formation in 1889. The club went to and from various grounds, each with their own problems, until settling at Longlevens in 1935. The ground was out of town and when the club were offered a substantial amount of money by a housing developer in 1960 they began to search for a new ground. Horton Road took four years to acquire and develop but was never built to the originally intended ground scale. 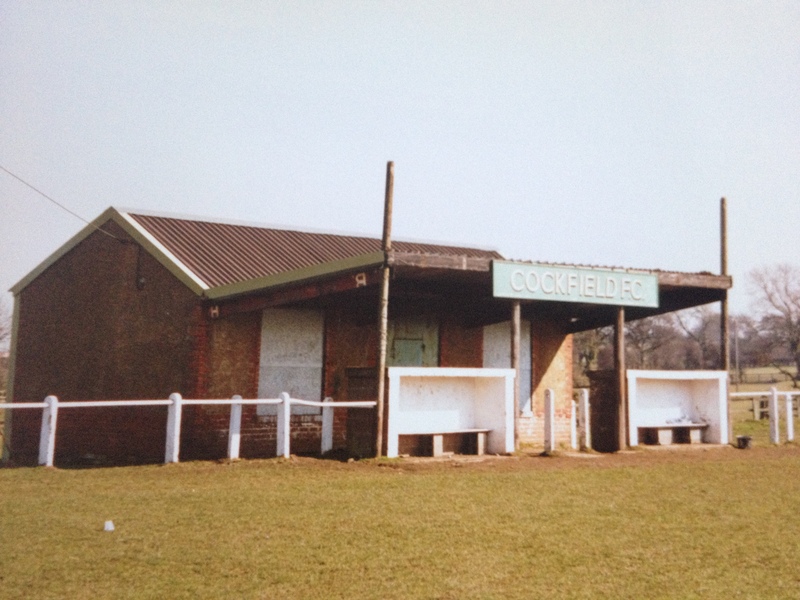 This was due to to lack of support and finance and when dog racing, introduced in the 1970’s, was a financial disaster, and coupled with the pitch’s poor drainage, the club sold the ground to builders in 1979. As part of the sale City were provided with a new stadium at Sudmeadow Road although it was not completed until 1986. The club now had an excellent modern but characterful stadium and a vibrant social club. However, the first warning of problems with the ground came in 1990 when the stadium was out of commission for a month when it was flooded by the River Severn. That vast stretch of flowing water returned to haunt the club again in July 2007. Meadow Park was engulfed in a huge amount of flood water, eight foot deep with just the crossbars peeping out above the water line. 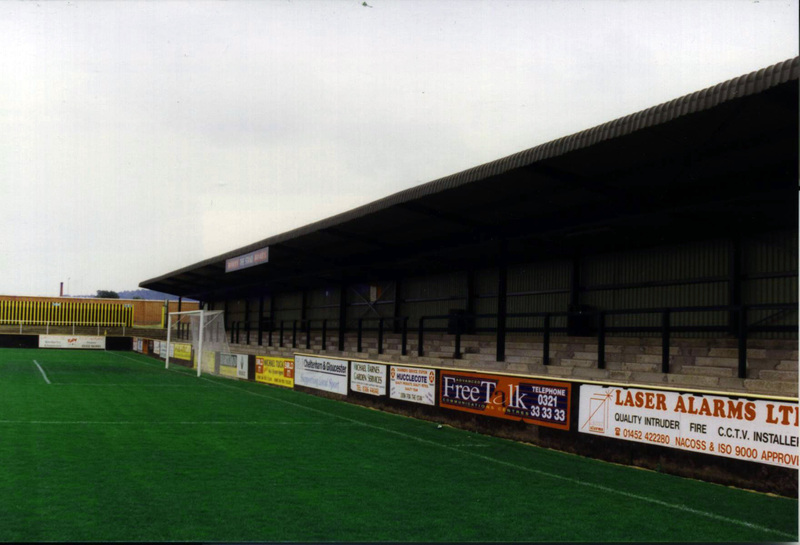 The club has never been able to return to the stadium groundsharing at Forest Green Rovers, Cirencester Town and currently Cheltenham Town.